Taronga Zoo with Sydney’s skyline view, is Australia’s most famous and the most visited Zoo by tourists from around the world. Now what makes this zoo so special is it’s prized location along the shores of Sydney Harbour. The zoo is located in an elevated position that takes in the most stunning views of Sydney’s city skyline. 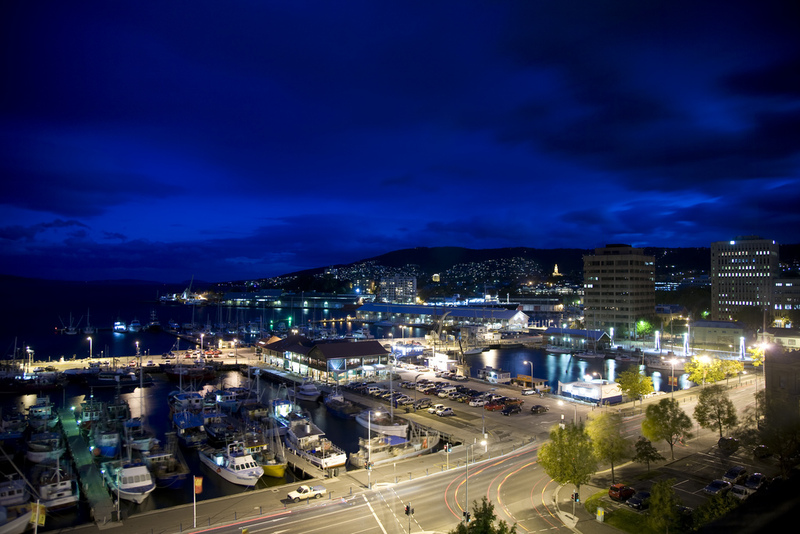 Even the Aboriginal word ‘Taronga’ means beautiful view and once you are there, it’s easy to see why. So grab your camera and start snapping away at not only the animals but the view in the background too. The zoo has around 2,600 animals which is mainly dedicated to Australia’s unique native animals. Here you will see the ever popular koalas, wombats, emus and amazingly the kangaroos that roam freely in the top corner of the zoo (kids trail) – which is a pure delight to visitors who are able to get up close and personal to a kangaroo! You will also find the old favourites here too – giraffes, tigers, elephants and monkeys. Now if you would like a truly unique photo opportunity then the best position for taking a photograph is from the giraffe enclosure. Not only will you get a beautiful photo of these amazing creatures but you will have both the Sydney Opera House and the Sydney Harbour Bridge in the background. The zoo is easily navigated and can be explored in half a day. The easiest way for tourists to get to the zoo is via the ferry service. Tickets can be purchased at the ferry terminal located at Circular Quay. The ferries leave every 20 minutes from wharf 2 and is also a wonderful opportunity to get a front on photograph of the Sydney Opera House as it passes on the way. Once you step off the ferry you will be at the bottom entrance of the zoo, where you can either walk to the lower entrance, take the bus to the front entrance or take the Sky Safari (chair lift) to the top. Thank you! The kangaroos were brilliant … these guys just wandered around happily in amongst the people. 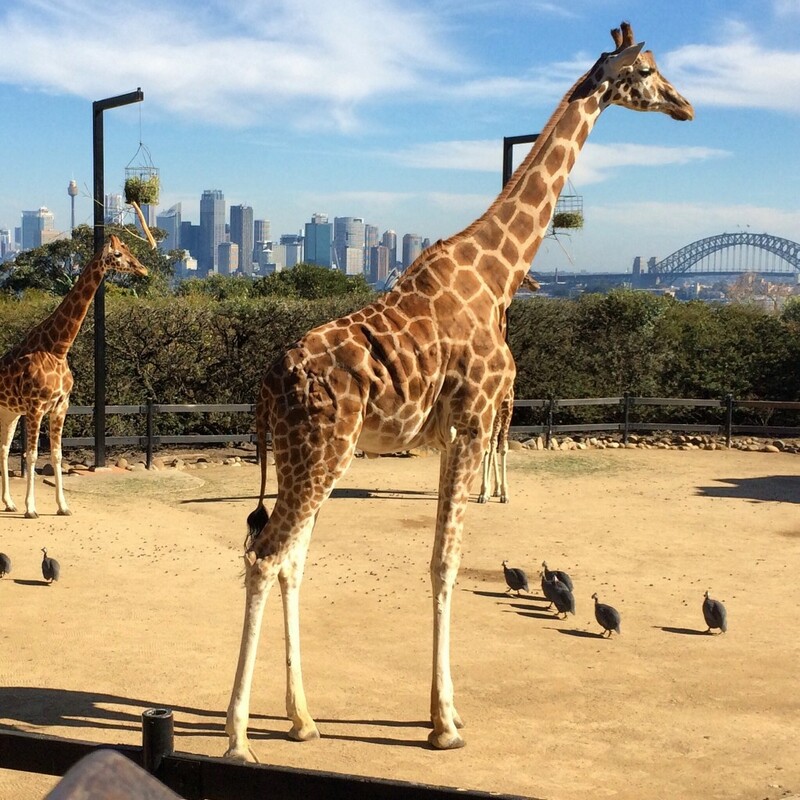 Giraffes and the Sydney skyline — what could be better?